Holidays in Verona ↔ Discover Lake Garda! 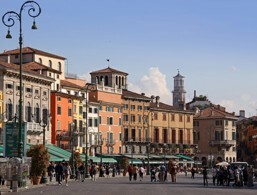 In the energetic centre, historic buildings and lively squares merge with lush shopping streets! 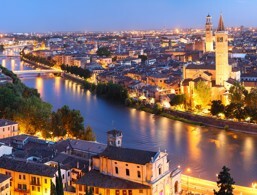 The alluring city of Verona is located southeast of Lake Garda. In addition to romantic streets and squares, the famous city also has many interesting and important historical buildings. Strolling through the celebrated centre, you can admire the many palaces, churches and buildings that tell the story and the evolution of the beautiful city. 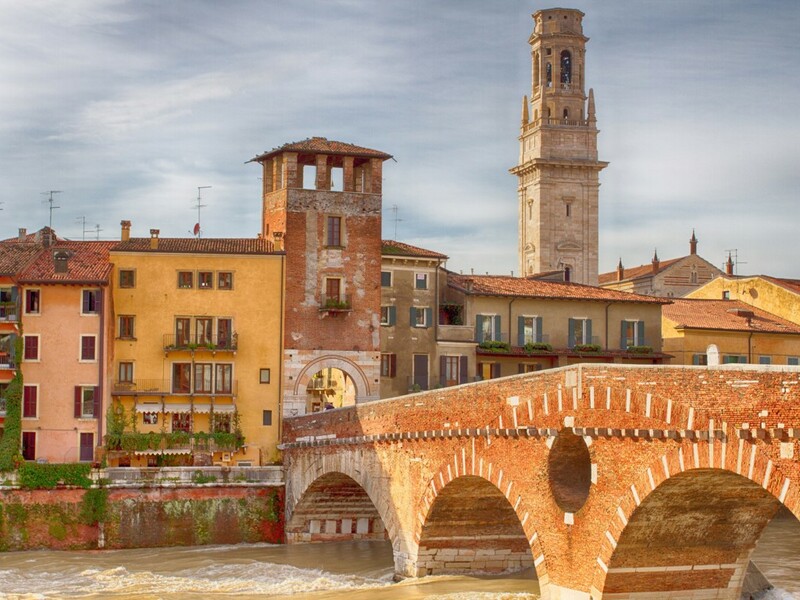 Although Verona has rapidly grown over the centuries, the buildings of the Roman Empire are still very well-preserved, and today they stand next to some very modern architecture. 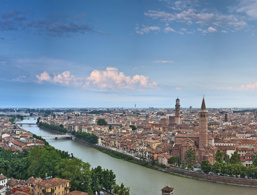 Past and present form a harmonious cityscape and contribute to the special charm of this quintessential Italian city. 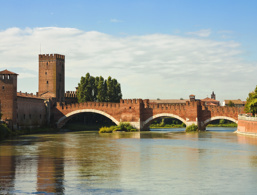 The centre is surrounded by Romanesque walls, and the inner ring road with its fortifications is a testimony to the Renaissance. 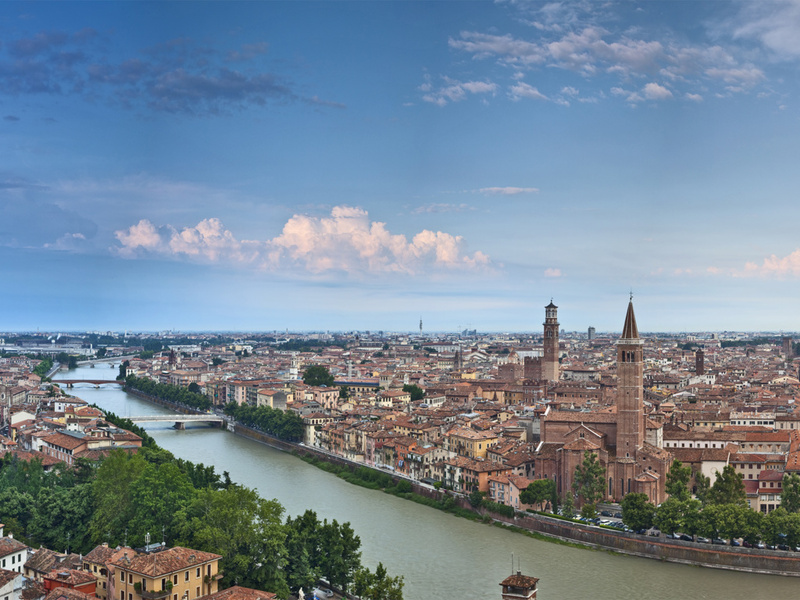 Every year, millions of tourists come to Verona to visit the famous balcony of Romeo and Juliet or listen to an opera in the fabulous arena. Countless international stores and boutiques are located on the famous downtown streets. 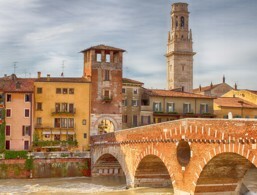 The high street shops and designer labels make Verona a popular shopping goldmine. 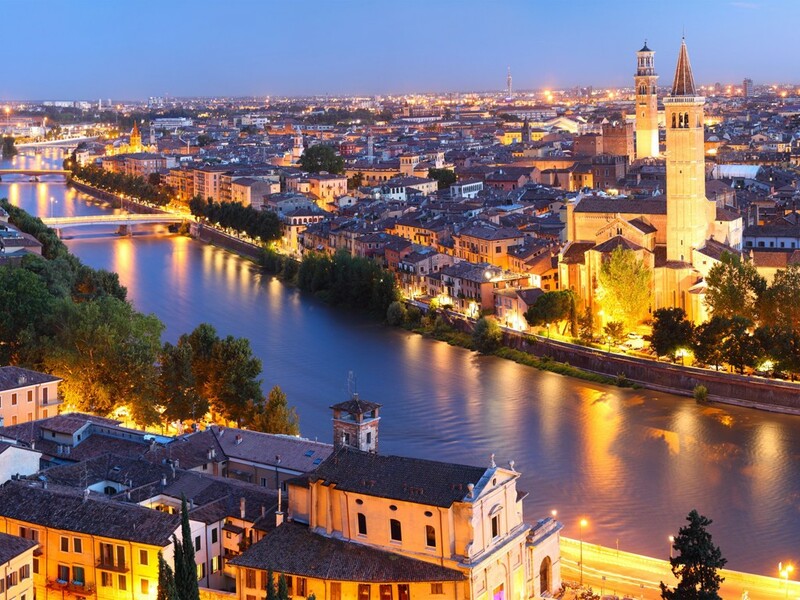 Verona is always worth a visit. The picturesque city of Verona is located next to Lake Garda and is always worth a visit. A must for wine connoisseurs and wine producers. The Roman Amphitheater is located in Piazza Brà, in the heart of the ancient city centre and is undoubtedly the landmark of Verona. 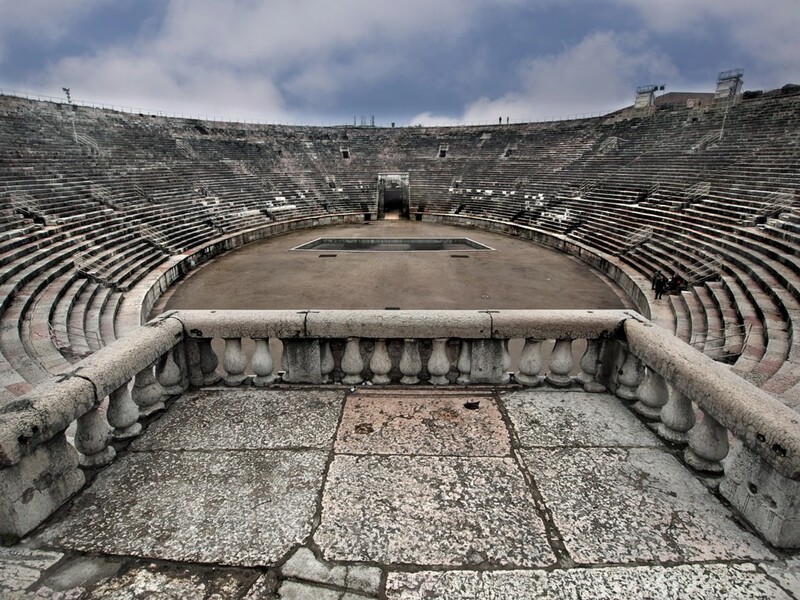 Built in the first century AD, the Arena of Verona is Italy's third largest amphitheatre. 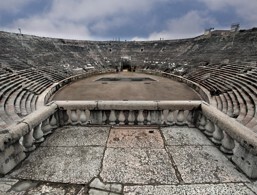 Due to its elliptical shape, the Arena has excellent acoustics, and in the summer, numerous operas, plays and concerts are performed here. 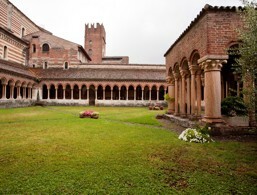 The building was built in the 13th century and was for a long time owned by the Cappello family. The rapprochement of the surnames Capello and Capuleti leads to the assumption that it could be the family house of Juliet. 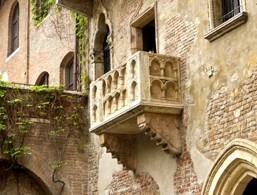 Inside there are 16th and 17th-century furnishings, frescoes by Romeo and Juliet and Renaissance pottery. In the courtyard is the bronze statue of Juliet, the work of the sculptor Nereo Constantini. 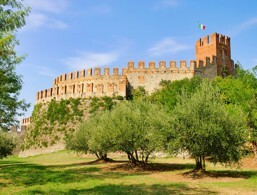 Originally the castle was called San Marino in Aquaro. 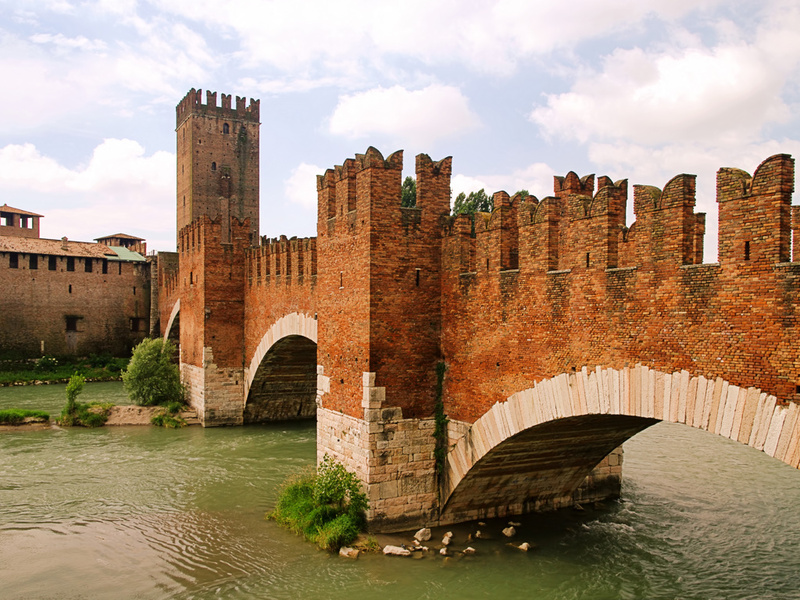 After the San Pietro Castle was built, Castelvecchio, which means "old castle" in Italian, got its present name. 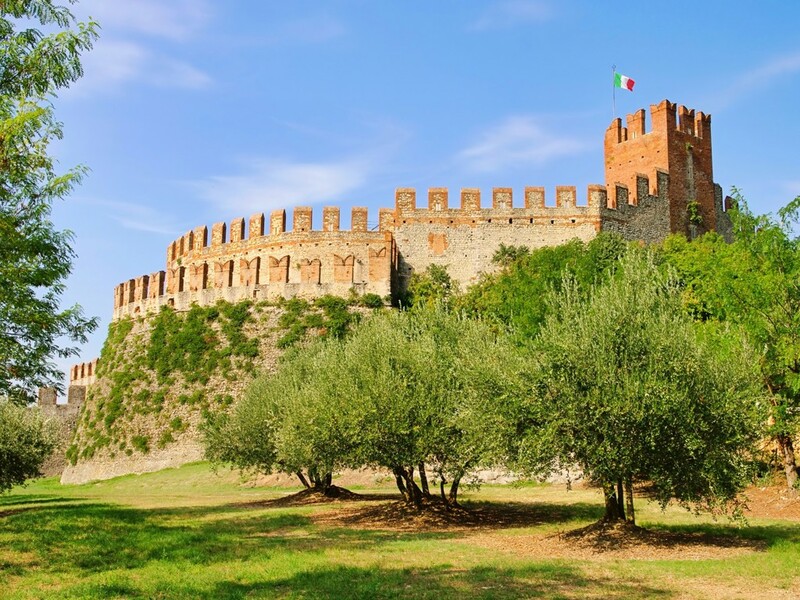 This is an impressive military monument of the Signoria Scaligera, which can be reached via a fortified bridge on three arches. 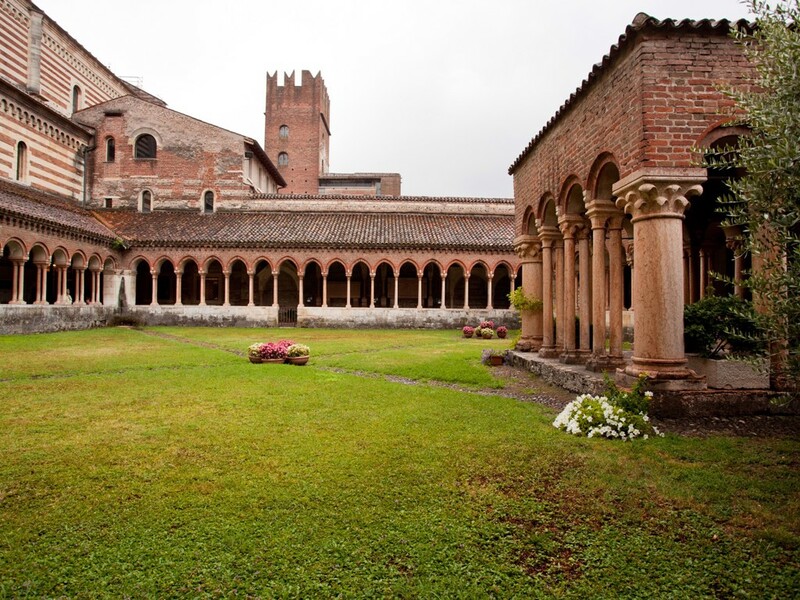 The Basilica di San Zeno is one of the most splendid Romanesque churches. Especially worth seeing are the 48 panels inside, depicting scenes from the Old and New Testament as well as the life of Saint Zeno, patron saint of the city. In the three-aisled church, the crypt, which unfolds (typical for similar buildings) to the choir, is particularly striking. Of great value is the triptych of Mantegna, which depicts the Madonna on the throne with angels and saints, as well as the small cloister, the beautiful arcades, the bell tower and the tower of the abbey.